If there was a God for American/Chilean hardstyle fans, MC Villain would undoubtedly be him. With countless amounts of fan pages and fans worldwide begging for him to MC in their country, MC Villain is not only an MC but an icon of the harder styles. Villain had the honour to perform at some of the most prestigious events worldwide such as Defqon.1 (Australia, Chile & The Netherlands), Mysteryland Chile, Reverze, Q-BASE and Tomorrowland. 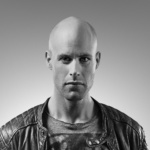 His signature voice has also featured on tracks with D-Block & S-te-Fan, Headhunterz, Wildstylez and many more! Next to that, Villain spends his spare hours compiling his monthly XXlerator podcast!